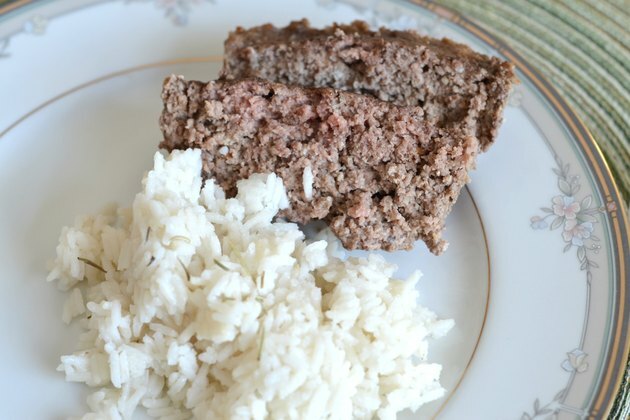 Just as the name implies, a traditional meatloaf is made with ground meat, eggs and breadcrumbs, which help keep the meat in the form of a loaf for baking. While traditional meatloaf is made with beef, you can substitute it with low-fat meats like turkey, and even add some chopped vegetables for a healthier, leaner version. With the seasonings of your choice, you can create a protein-filled main dish that you can serve hot, while leftovers can be served cold in a sandwich for lunch. 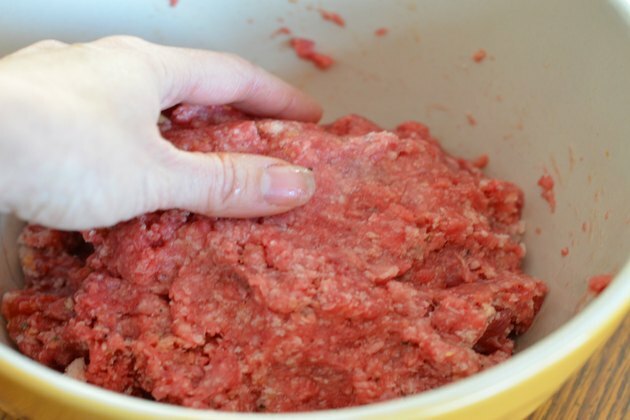 Place your ground meat, whether it is beef, turkey, pork, veal or a combination of them, in a bowl. 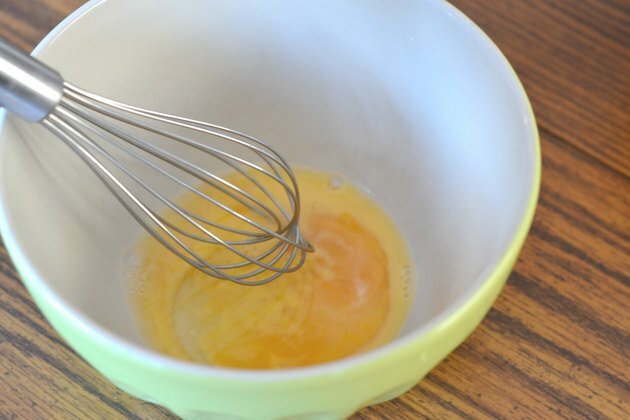 Put eggs into a bowl, and whisk them. Add the eggs to the ground meat along with some breadcrumbs, herbs and seasonings of your choice, such as salt, pepper, thyme, sage or parsley. These herbs and spices add some flavor to the meatloaf. Make your own fresh breadcrumbs, rather than using store-bought ones, by pulverizing a few slices of whole wheat bread in a food processor. 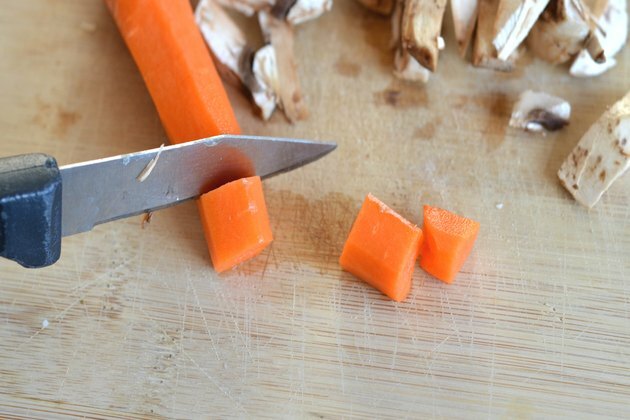 Chop aromatic vegetables, like carrots, celery, onion and sweet or hot peppers, into small pieces by hand or in a food processor. Add them to a pan, and saute them with olive oil over medium heat until they are soft. Pour the vegetables into the bowl containing the meat and eggs. The vegetables will add moisture, flavor and fiber to your finished meatloaf. 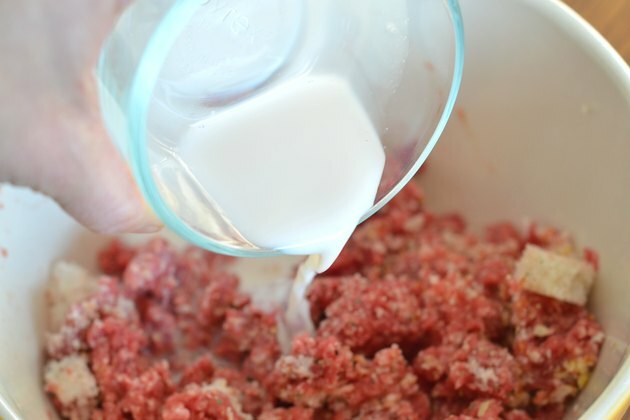 Add a few spoonfuls of water, skim milk or a moist condiment such as mustard, ketchup, Worcestershire sauce or low-sodium soy sauce into the meat. This will add moisture and flavor to the finished loaf. Mix the ingredients together with your hands, and form them into a loaf. If necessary, add more breadcrumbs to stiffen the loaf if it feels too soft or begins to fall apart. Place the loaf on a baking sheet or in a loaf pan, lined with aluminum foil. 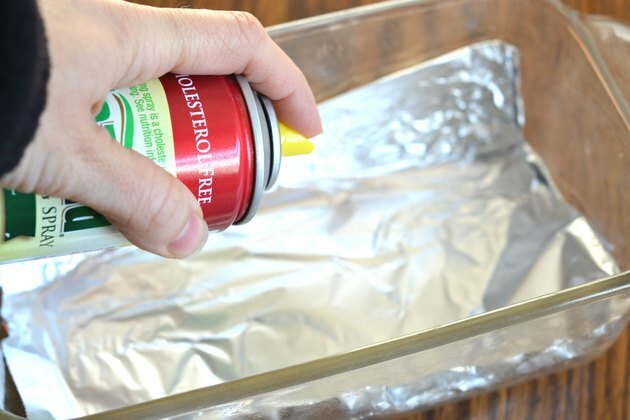 Spray the foil with nonstick cooking spray to keep the loaf from sticking to it. 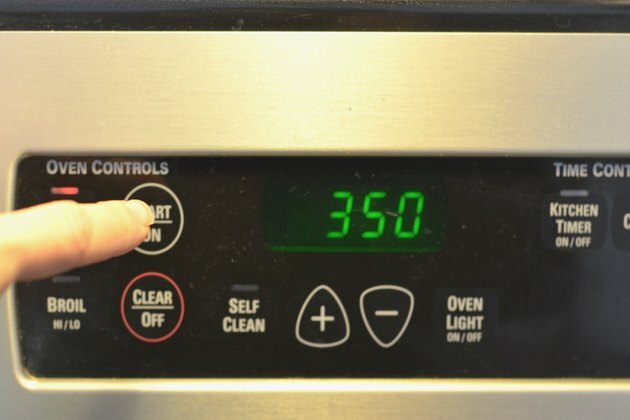 Bake the meatloaf at 350 degrees Fahrenheit for around an hour or until the temperature of the loaf's center is approximately 160 F when tested with a meat thermometer. Allow the loaf to stand for 10 to 15 minutes before slicing and serving it. If desired, you can brush some barbecue or ketchup over the meatloaf before baking to create a tangy glaze. Substitute 2 egg whites for every whole egg to reduce the amount of fat and cholesterol in the meatloaf. Use rolled oats instead of breadcrumbs for added fiber. Store any meatloaf leftovers in the refrigerator, wrapped in aluminum foil, at 40 F for up to four days. 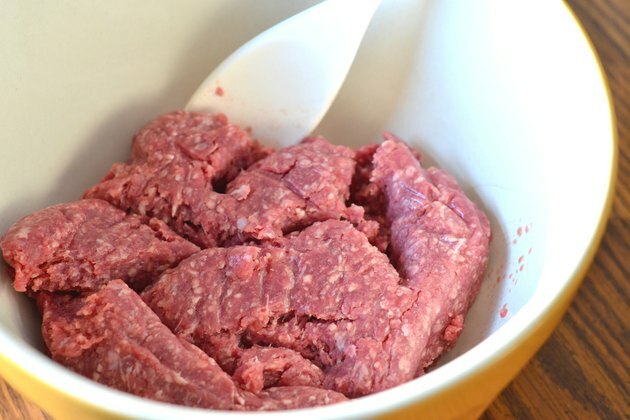 Freeze the meatloaf for up to four months at 0 F.
Make single-serving mini-meatloaves by dividing the loaf mixture into quarters and placing them on a baking sheet. Smaller loaves may cook more quickly, so check them after 30 minutes of cooking with a meat thermometer to see if they are done. Don't undercook your meatloaf due to the risk of food borne illness from the meat and the eggs.